When it comes to finding the right employee in a position and do their job well, head to Trinity employment specialist today. They can help you with all of your medical staffing needs and create an easy process and system to help weed out employees who are seeking the next paycheck or those who are actually passionate about what they do. We want to help assist you in any needs you may have and provide the highest quality services to help you connect with the top talent employees. Trinity employment specialist are known to be one of Oklahoma’s highest and most reviewed staffing companies because they strategically recruits talented employees who meet the needs of your company and want to help connect your company with exceptional talent. We truly believe that helping you find the perfect and top talented wall not only ensure a longer-lasting employment rate but also ensuring the quality of each job or position they fulfill. Whether you are looking for someone to complete a medical staffing position, finance, or industrial job, the Trinity employment specialists are here to help you and assist you. We had Trinity employment are also extremely passionate about giving back and have been able to create a giveback program in which every job placed we will donate to the Oklahoma Baptist children’s home. We have been able to partner with Oklahoma Baptist church and have been able to feed enclosed children and young adults. We also provide housing and life skills for those young people. The children are our future and we need to provide the utmost quality guidance and provide them with the knowledge and skills it takes to gain a positive career for their future. When you choose Trinity employment specialist your choosing those who are connecting people and changing lives, that is why we are one of the best and highest reviewed staffing company is. We want to connect growing company is as well as companies who have existed for many years with employees who are passionate about doing their job and doing it diligently. Providing you with knowledge and the utmost services for medical staffing, financing, industrial jobs, the specialists with Trinity employment are here to help you every step of the way no matter what industry or level you may be at. Head over to https://trinityemployment.com today to learn more about the ways in which the Trinity specialists can help you. We also provide informational podcasts as well as sample resumes, cover letters, and think you letters. These and share you to have the ability inking the tools needed to push yourself above your competition and land your dream job today. For any questions or more information needed call us today at 918.622.2588. We truly do believe that we are connecting people and changing lives and want to help you as an eployer hire top talent and as an employee find yourself a great job! Are you tired of searching the web and looking through countless ads to find yourself the perfect job? Do you spend many hours reviewing and applying yet don’t ever seem to hear back from the actual jobs you want to land? Look no further than with the Trinity employment specialist who can help you land your dream job and help you on the bright future of success. From medical staffing positions to finance, and industrial jobs, specialist with Trinity employment are here to help you land your dream job and be there for you every step of the way to get there. The Trinity employment specialists are known to be one of Oklahoma’s highest and most reviewed staffing companies because they are so successful with not only helping those of you searching for a great job but also helping hire top talented employees for employers searching for the perfect staff. We have been able to connect people in their lives time and time again and have been able to connect growing companies with exceptional talent. Using a strategic process to recruit talented employees to perfectly meet the needs of your company, our specialists know it’s and outs of what it takes to help you weed out the passionate employees from those who just want the next paycheck. We also extremely passionate about giving back and have been able to create a giveback program, in which every job placed, Trinity will donate to the Oklahoma Baptist children’s home. We have been able to partner with Oklahoma Baptist church and are working together to feed and clothe children and young adults. We also provide housing and life skills for these young people. Because the children are our future and whatever we can do to help them achieve their success for the future can help achieve success for our community. It is important to put them on the right track and fast track to success and continue their success throughout their life. Whether it is medical staffing, finance, industrial, or whatever the job may be the Trinity employment specialist are here to help you find the right employee and top talent to help fulfill those positions. We are here to assist you and guide you to help ensure success for your company and help find success for you as an employee. Providing you with the utmost high quality services we can help connect qualified people with great job you did work with you to find the right career that fits you. Head over to https://trinityemployment.com today to learn more about the medical staffing positions that are open as well as other job opening currently. You can also learn more about the tools and in the now of landing your dream job. We provide sample resumes, sample cover letters and think you letters. We also provide informational podcasts with categories in which you may be searching for within your career field. 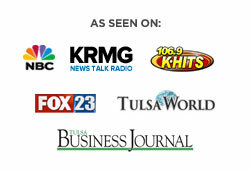 You can also give us a call today at 918.622.2588 for any questions or information about our specialists.